Senator John Kerry’s 2012 financial disclosure statement details some of the investments that could be seen as problematic if, as expected, he is confirmed as secretary of state. WASHINGTON — Senator John F. Kerry and his wife hold an array of international investments that could pose conflicts of interest for him as secretary of state, and an ethics review is already underway to determine whether he needs to divest holdings, put them in a blind trust, or recuse himself from some discussions, according to Obama administration officials. Kerry’s 2012 financial disclosure statement details some of the investments that could be seen as problematic if, as expected, he is confirmed as secretary of state. Among them: shares in a Canadian oil company that is lobbying for the Keystone XL pipeline; a stake in Brazil’s energy giant, which was recently accused by Congress of flouting UN sanctions against Iran; and a large investment in a private equity firm seeking deals across Asia. Such holdings could present conflicts for Kerry when advising the Obama administration on trade deals, diplomatic agreements, or other decisions that affect international economics, according to government ethics specialists and watchdog groups. In addition, his holdings in sustainable energy companies could be seen as in conflict with his expected efforts to curb global climate change. The federal ethics review, which is well underway, was described by two senior government officials in the Obama administration who had direct knowledge of the vetting process. The officials said they were not allowed to speak about the matter on the record because the Kerry review has not been completed. Teresa Heinz Kerry, the heir to the Heinz ketchup fortune, has been estimated to be worth more than $1 billion. Kerry, meanwhile, is ranked as the third richest member of Congress, worth an estimated $193 million in his own right, partly due to family trusts from his Forbes relatives. The Kerrys’ financial and personal history was vetted by White House lawyers before he was nominated by President Obama last month. But a final review will have to be completed by the Office of Government Ethics to determine if the Kerrys need to divest additional holdings or place them in a blind trust. The agency would also advise whether he would be eligible for waivers of ethics rules and whether he has to recuse himself from involvement in specific issues, according to the two officials with knowledge of the process. Pooja Jhunjhunwala, a State Department spokeswoman, said that the department also is playing a leading role in ensuring that Kerry meets all government guidelines. 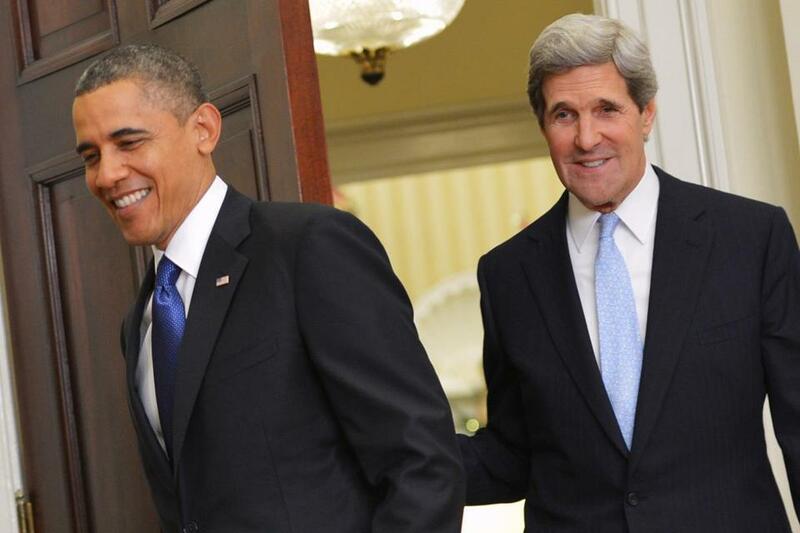 Some observers said Kerry’s financial position places the Obama administration in a particularly challenging position. “It is very important that Senator Kerry be handled properly,” said Stephen D. Potts, who served as the head of the Office of Government Ethics under Presidents George H.W. Bush and Bill Clinton. He said Kerry’s review is likely to prove far more complicated than usual — certainly far more than it was for outgoing Secretary of State Hillary Clinton, the wife of the former president. Upon assuming office in early 2009, Clinton agreed to abdicate any role in her husband’s global foundation. For Kerry, the list of possible conflicts is far lengthier. The Kerrys’ investments stretch from East Asia to Canada to Brazil, a global financial network that ethics lawyers must carefully map. For example, records show he has up to $31,000 invested in the Canadian oil company Cenovus Energy, which has been lobbying for approval of the Keystone XL pipeline to bring Canadian oil to refineries on the Gulf Coast of the United States. The green light for such a transnational project would have to be granted by the State Department. Others are harder to track, such as Asia Alternatives Management LLC, a San Francisco-based private equity firm focusing investment on Asian countries, including China, Japan, and South Korea, according to its website. As of 2011, the Kerrys had at least $1 million invested in two separate funds, his disclosure reports show. That same year the family sold off as much as $350,000 worth of assets in the South American oil giant known as Petrobras. They currently maintain a smaller investment in the company, which is half-owned by the Brazilian government. Still, the investments could prove problematic for other reasons: Petrobras, has been investigated for flouting the UN sanctions against Iran. In 2007, the energy conglomerate signed a $470 million contract to explore oil fields off the coast of Iran, according to the Iranian oil ministry’s news service. Kerry’s energy interests extend further, the most recently available filings show, including at least $1 million in each of three Sustainable Technologies funds focusing on clean energy in Scandinavia. As secretary of state, Kerry could preside over decisions that would at least indirectly benefit such firms. There is also a $500,000 to $1 million stake in PotashCorp, a Canadian fertilizer firm attempting to merge with Israel Chemicals Ltd., among the largest firms in Israel. These strictures commonly come in the form of an ethics agreement that must be implemented within 30 days of taking office. Kerry is expected to go before the Senate Foreign Relations Committee for confirmation later this month or in early February. Preventing conflicts of interest is a perennial struggle for public accountability, said Arthur Applbaum, a professor of ethics and public policy at the Harvard Kennedy School. Holman said ideally Kerry could recuse himself from anything that might affect his family’s investments.